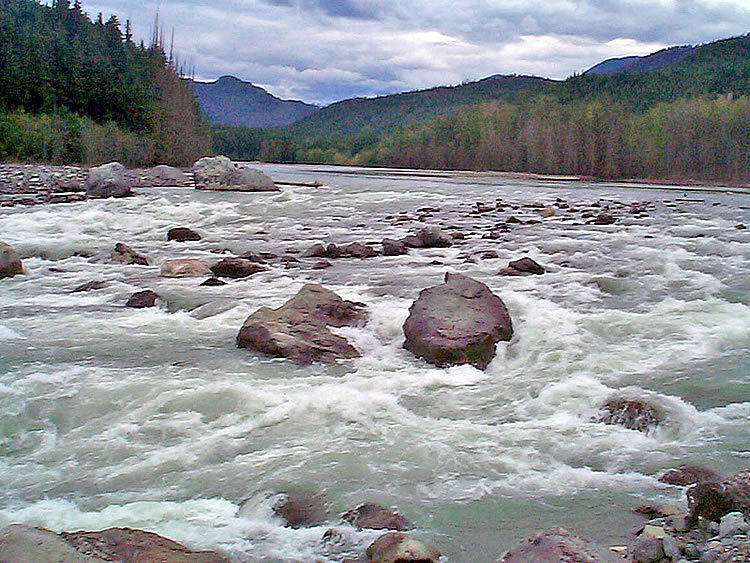 The avalanche triggered a forest fire, ruptured a natural gas pipeline, and dammed the Copper River (Zymoetz) here, creating these beautiful rapids. This photo was taken on cloudy, rainy, July 4, 2004, by walking out into the river, on the dry rock debris, where the tributary enters the Copper River. The slide came from your left at approximately 1:00 AM on June 8, 2002. Photo © Elaine Fleischmann.